The average smartphone today has more computing power than laptops released at the start of this decade. It is capable of multitasking, editing documents, honing photos, and displaying high-definition graphics. For most people, the PC is only needed for the larger screen and keyboard. That is where Superbook comes in. This lightweight laptop is essentially brainless until you plug in your smartphone. It then springs into life, running all the apps and displaying all the media which are usually confined to a cramped touchscreen. 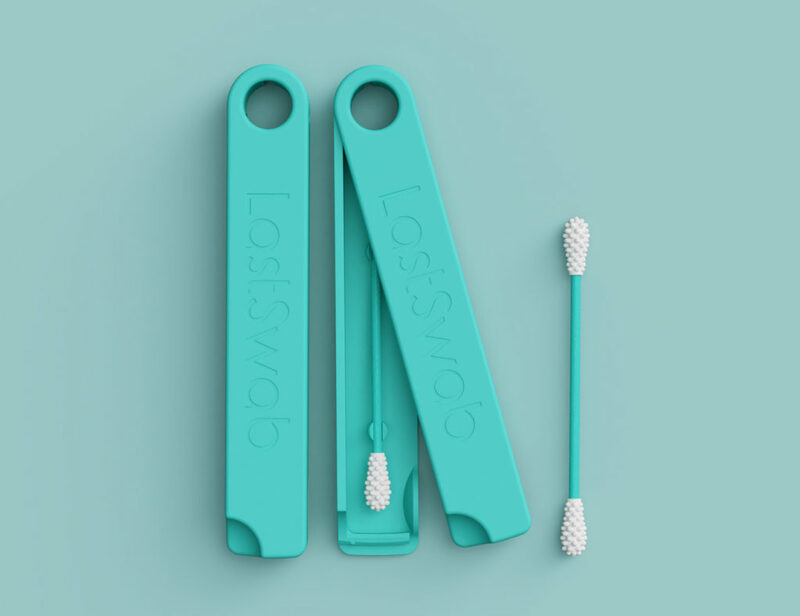 The 11.6-inch device is shockingly simple to use. 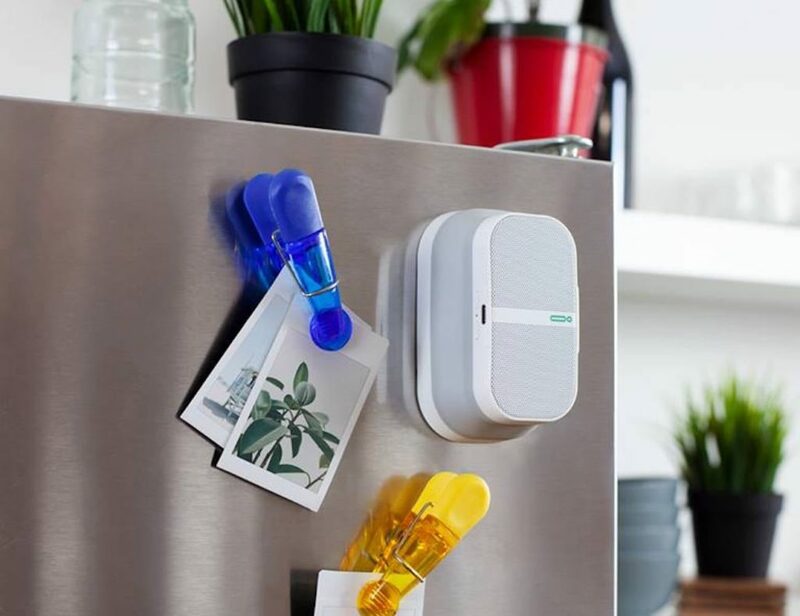 It works in combination with an app called Andromium, which shares its name with the San Francisco startup behind this project. With your phone plugged in to the Superbook, you can open apps and browse your files in the Andromium OS interface. The experience is much like using a Chromebook, except everything is running from your phone. There are keyboard shortcuts, and softkeys to replace the Home, Back and Menu buttons on your phone, along with the multi-touch trackpad. 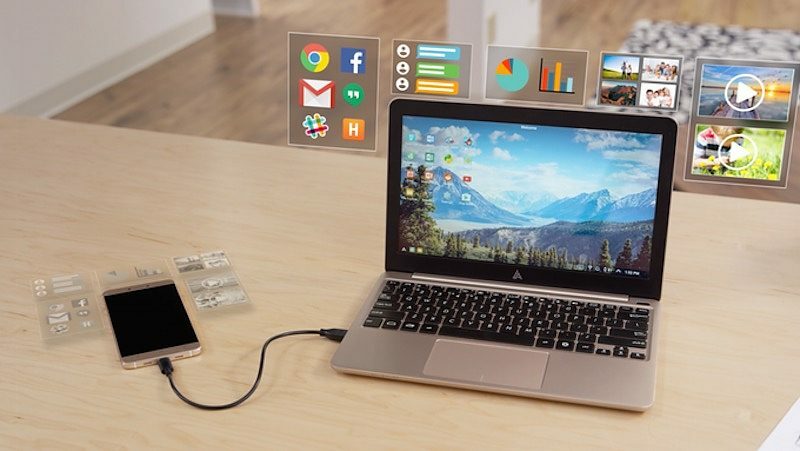 The Superbook has 10 hours of battery life, and it can even charge your phone while it is connected. 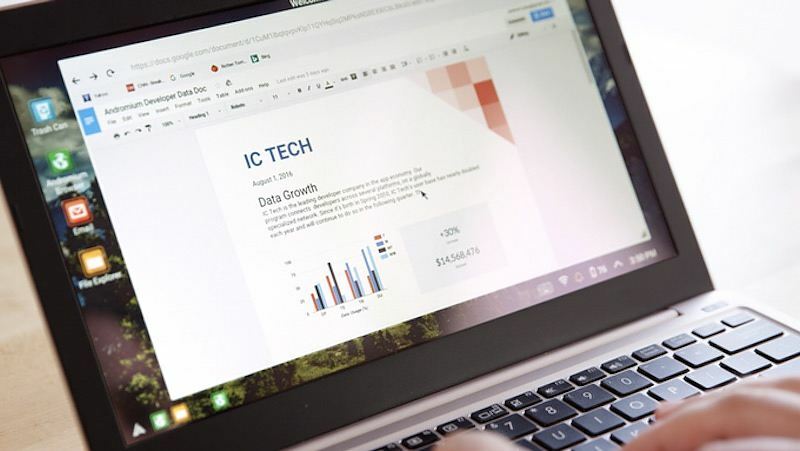 Billed as “the ultimate accessory for your smartphone”, the Superbook is aimed at folks who need straightforward productivity while traveling light. It cannot quite match the functionality afforded by desktop machines, but the laptop is certainly capable of everyday emailing and word processing. You can even play Clash of Clans on the larger screen. 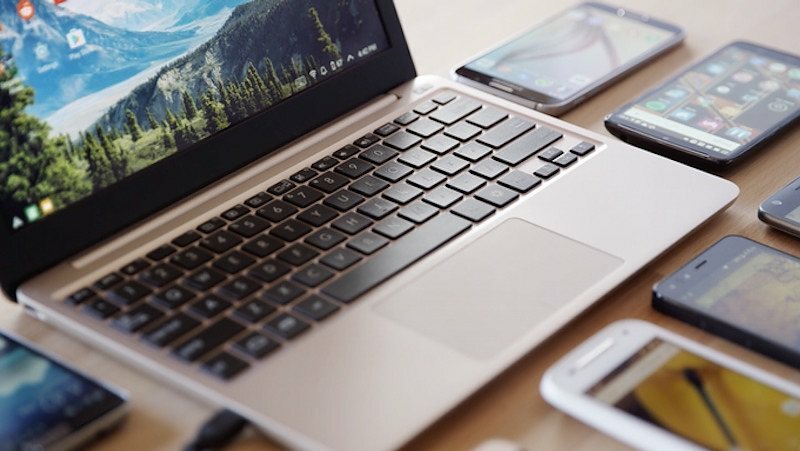 There are additional benefits to consider: every new phone you purchase will upgrade the laptop, and at just $99, the hardware is ridiculously affordable. Having obliterated its Kickstarter crowdfunding goal, Superbook is scheduled to start shipping to backers by next February. If the project reaches $1m in funding, Andromium plans to add 1080p displays as an optional upgrade. 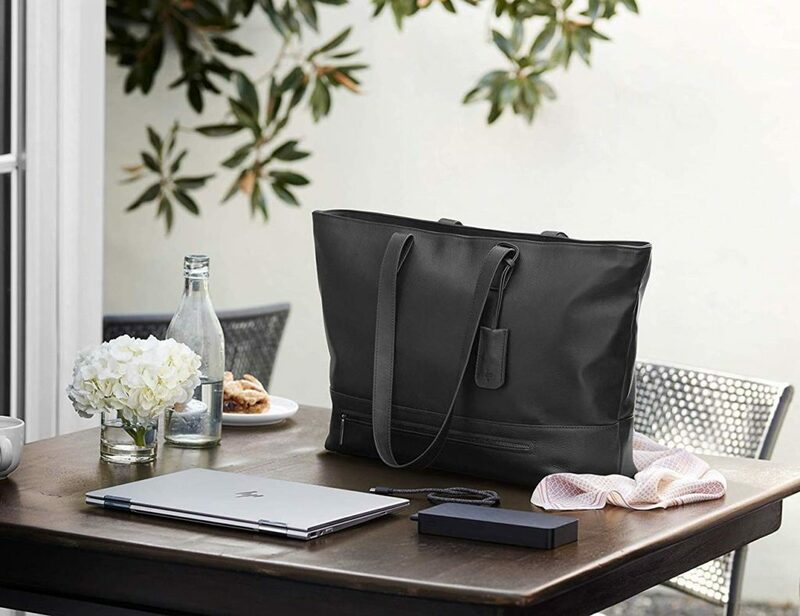 Can you see yourself taking the Superbook to work?